What would be interesting to hear from Harish apart from KTR and Kavitha? 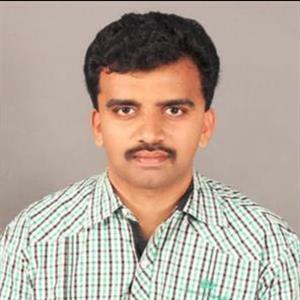 Sri Ramachandra Murthy October 12, 2018 13:31 IST What would be interesting to hear from Harish apart from KTR and Kavitha? As per report it was stated that with the election date (Dec 7, 2018) for Telangana has come, the political campaigns have intensified in the state. Meanwhile both ruling leaders and opposition leaders have become more media friendly and so did Ex Irrigation minister Hairsh Rao. Meanwhile many media houses are making a beeline for Harish's interviews in the wake of his recent comments on his 'Political Sanysam' and his alleged rift with KTR i.e. family feud in TRS, Harish Rao is said to be a strong condition to all the media persons. As per report Harish Rao's PR team is said to be strictly saying that there shouldn't be any questions about KTR or Kavitha. Meanwhile only on the condition, Harish's PR team is said to be agreeing to fix his interviews and hence it clear that the instruction must have come from Harish himself. Furthermore not long ago, KTR and Harish have praised each other and rubbished of the differences. KTR went ahead and even described Harish as his brother like. Moreover Harish wants to put an end to those rumors with that as too much of poking into it may defeat its own purpose, but, journo who were excited to get Harish's interview are upset with these conditions.